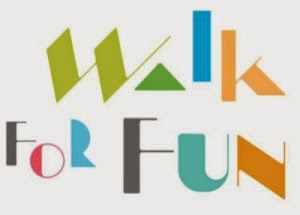 Friends of Eckhart Park plans its annual neighborhood Walk for Fun at 10am Sept. 20 in the park at 1330 W. Chicago Ave. Organizers are celebrating the park's new playground renovation and raising funds for an improved fitness center. The walk will leave Eckhart Park at 10 and is stroller- and pet-friendly. Kids 12 years and younger can participate in the walk and a 100-yard dash afterward. Register your child on the day of the race for $5. Kids are encouraged to bring bikes and scooters. Registration ($50 family, $30 adult, $5 kids) will include a T-shirt and coupons to local businesses. Family Registration includes two adults and their kids. Dash registration includes a medal, and fun.